Are you constantly running from one thing to the next with things slipping through the cracks? I've been where you are mama. I know the struggle between balancing kids, and work, and friends, and family, and community, and self. Its hard to get it all done while maintaining sanity. Often something gets left behind and its usually ourselves. I've figured out how to make time for the people that matter most while still getting work done and fulfilling my own needs. Not every day is perfect, but I go to bed satisfied with my accomplishments for the day and I wake up ready to take on new challenges and life. I want to help you live that way too! DO YOU WANT TO End the overwhelm of mom life? I’VE SEEN mamas go from humdrum to happy just by implementing some simple habits and techniques into their every day lives! How is that possible?? It just takes a little planning and a little self reflection to figure out how you want your days to go! 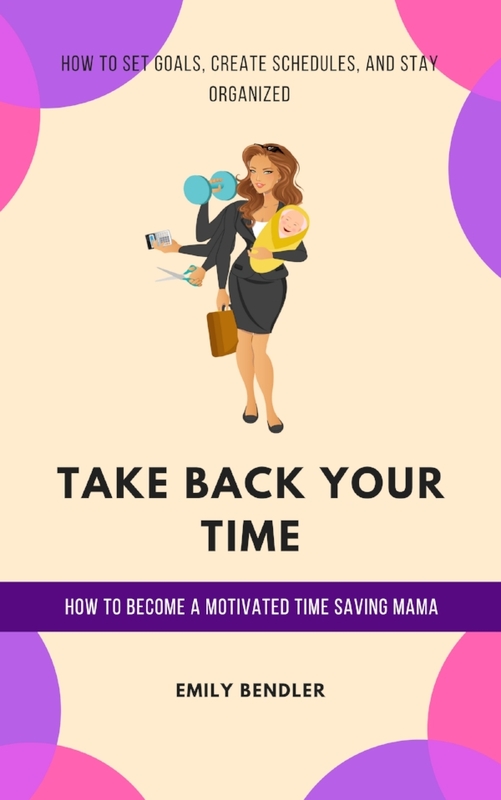 THIS BOOK WILL HELP YOU GET THE MOST Out of your days whether you are a working mom, a stay at home mom, or a work from home mom! But let me be really clear here, I can't guarantee that you will never have a hectic day ever again or that you won't have days where you lose your gung ho motivation. This book isn’t me telling you how I’m the new Mary Poppins, practically perfect in every way, and you can be too. THIS INFORMATION IS FOR Real moms in real life who want to have their stuff together 90% of the time so that they can relax and spend time with family and not feel guilty about all the things that need to get done. After having my first kid I was able to dance for multiple professional sports teams, reign as National Mrs New York 2015, perform with dance companies, teach dance, volunteer regularly, start grad school, and create this blog. After #2 came, I continued to teach dance, continued with my blog, graduated grad school, moved twice, wrote this book, and completed my life coach certification. #3 is due any day now and I'm still teaching dance, still blogging, and still coming up with new resources for busy moms. All this while working full time and still having time for family and friends. Does is take more planning to complete life goals after kids? Yes. Are you always going to have time to accomplish everything you want to do at the exact time you want to do it? No. Can you have a happy and fulfilling life while your kids are still young? YES! Rest assured, the information in this book will help you manage all the things on your plate so you can feel more relaxed and less overwhelmed! “Emily's advice is so actionable and easy to implement. She takes you through all aspects of mom life and helps figure out the best way to make everything happen. I also really appreciate the emphasis on self care so that we can properly take care of ourselves and care for our families." Gives you all the information you need to get back in control of your days. Do you feel like you must be missing something? Do you wonder how other moms seem to have it all together? Do you want to know how get the must dos done and still have time for yourself? If so then this is the book for you! Shows you exactly how to optimize your time so you can efficiently get things done. Do you already have a to do list but it's just too overwhelming to look at? Do you know how to make your schedule work for you instead of the other way around? Do you wish you had more time for your personal goals or hobbies? Most moms believe that it's impossible to make quality time for yourself and get things done while you have young kids! They put off their dreams and happiness until the kids get older or are grown. This book will help you live your dream life right now. Saves you time and energy. Running a household is already exhausting enough, am I right? Don’t waste more time and energy by trying to find all this information on your own! This is the culmination of years of experience and research, and testing different methods. Cut to the chase and get the benefit of my efforts today! I bet I could just do this on my own. Probably. But, ask yourself HAVE you? Have you really put in the time, research, and effort to get in control of your time? If you have, then this book isn’t for you. I’m not sure I’ve got the time or energy to do this right now. In all honesty, the time will never be perfect. But since you’re spending time running from task to task, why not add in a little bit of effort that will actually put some calm back into your life? So, are you ready to start taking control of your days? Since this is a digital download, I do not offer refunds at this time. However, if you have questions about implementing the information, please email me at emily@themultitaskingmomsite.net. Thanks! No problem. Feel free to email me at emily@themultitaskingmomsite.net. and let me know what you need. This book is the real deal and yes, it can really help YOU. Even if you’re lost. Even if you don’t know what you’re doing. Even if you don’t know what your dream life is yet! STOP WASTING YOUR TIME AND ENERGY WORKING more than you have to. GRAB YOUR COPY TODAY. YOU’LL BE GLAD YOU DID.